Monogram Meredith: Cookie Bar Recipes! I've never been a real big fan of The Bachelorette, but some of my friends have gotten me hooked on it, where we're all watching it together every week and it's lots of fun. So naturally I've tried to bring something good to eat. Last week I brought Strawberry Cake Cookies and pressed for time this past Monday night, I decided on cookie bars. I'm a HUGE fan of cookie bars and how stinking easy they are. I've written about Lazy Cake Cookies on my old blog and those were great but there was just something different about them, so I set out for a new recipe. And in that I realized that I never shared my FAVORITE recipe for cookie bars! I've made them twice and never blogged about it: so un-Meredith-like. That recipe calls for a cake mix and I didn't have any cake mixes on hand Monday night, so I found a recipe that called for sugar cookie mix (which we have a TON of thanks to coupons). But both of these are so easy that I figured I'd stick them both on one post. 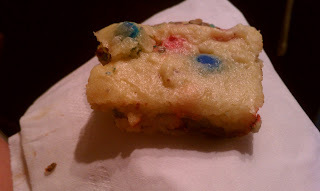 The first time I made these cookie bars was for Easter. 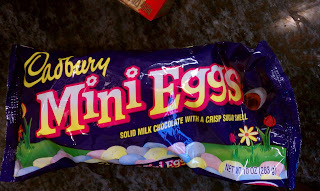 I put mini-Cadbury eggs in the mix and iced them with frosting (this picture has chocolate in it but I used vanilla for the rest of them) and they were so freaking delicious. And then Easter night I left for Spring Break, where I made them for the rest of the group. Being in an environment with not a lot of time and not a lot of baking supplies, I wanted an easy recipe, so I just used it again, but with M&Ms. Everyone fell in love with them and I was so excited! These cookie bars were SO EASY and SO QUICK and they just make me so excited. They're soft and moist but not mushy: just perfect. Mix together cake mix, pudding mix, eggs, oil, and water. Stir in candy. Spread in a greased 9x13 pan and bake for 20-30 minutes (until it doesn't jiggle). Let cool, frost, and enjoy! 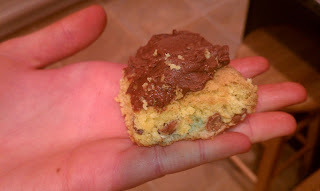 So there's the recipe for the Cake Mix Cookie Bars (I've really been on a cake mix recipe thing, haven't I?). 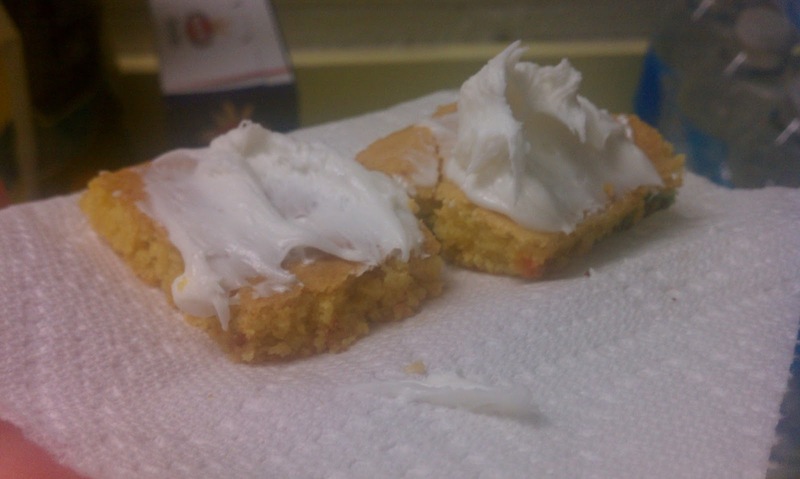 But when you don't have a cake mix, you can always use a sugar cookie mix! This is what I brought Monday for everyone watching The Bachelorette (by the way, my faves are Ben, Brandon, and Bryden). These were definitely a lot softer than the other recipe, but I loved them! Mix together sugar cookie mix as called for on package. 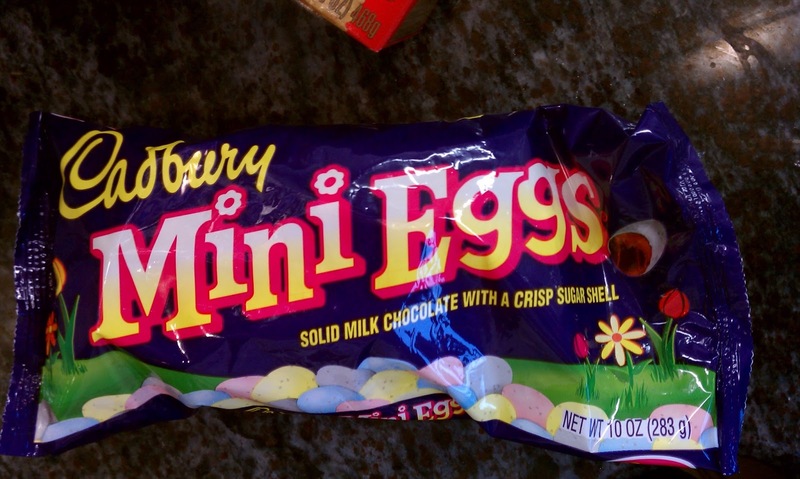 Mix vanilla pudding mix into it, then stir in candy. Spread into a greased 9x13 pan and bake for about 18 minutes. Enjoy! So I hope that whichever recipe you use, you love it! Cookie bars are just so easy and so good and they can be adapted to whatever taste you have! So easy to make and really delicious. Everyone loves them and I love experimenting with different fillings. Smarties work particularly well!